﻿A natural extract derived from India's neem tree could potentially be used to treat pancreatic cancer, according to a new study in the journal Scientific Reports. Scientists at Texas Tech University Health Sciences Center El Paso (TTUHSC El Paso) tested nimbolide, a compound found in neem leaves, against pancreatic cancer in cell lines and mice. The results revealed that nimbolide can stop pancreatic cancer's growth and metastasis without harming normal, healthy cells. 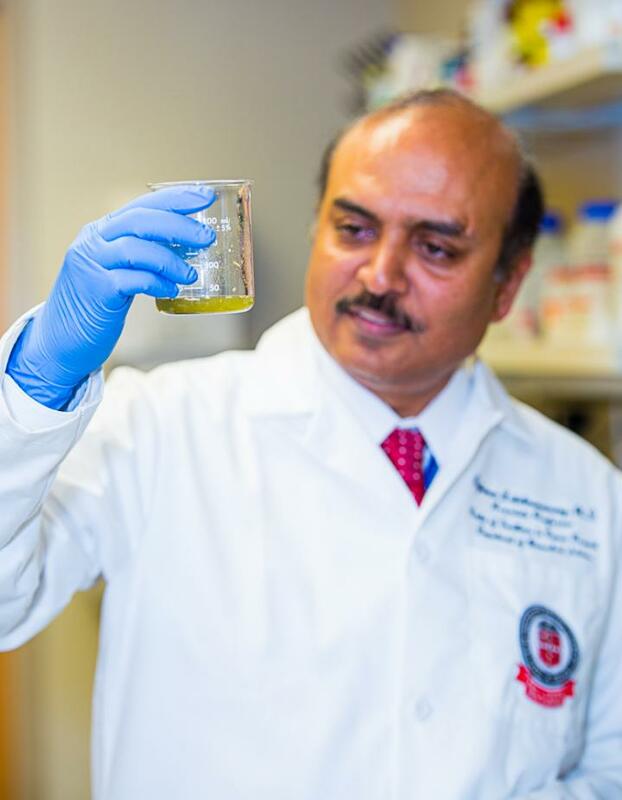 "The promise nimbolide has shown is amazing, and the specificity of the treatment towards cancer cells over normal cells is very intriguing," says Rajkumar Lakshmanaswamy, Ph.D., an associate professor in TTUHSC El Paso's Center of Emphasis in Cancer. Pancreatic cancer has the highest mortality rate of all cancers with 94% of patients dying within five years of diagnosis. The cancer grows quickly and there are currently no effective treatments available, underscoring the importance of finding new therapies. In the study, Lakshmanaswamy and his lab observed that nimbolide was able to reduce the migration and invasion capabilities of pancreatic cancer cells by 70 percent; meaning the cancerous cells did not become aggressive and spread. And that's promising, the researchers say. In humans, this migration - or metastasis - of pancreatic cancer to other regions of the body is the chief cause of mortality. Nimbolide treatments also induced cancer cell death, causing the size and number of pancreatic cancer cell colonies to drop by 80 percent. The TTUHSC El Paso researchers stress that one of the most important findings is that nimbolide did not harm healthy cells in both the in vitro and in vivo experiments. Lead author Ramadevi Subramani, explains, "Many people in India actually eat neem and it doesn't have harmful side effects, which suggests that using nimbolide for pancreatic cancer will not cause adverse effects like chemotherapy and radiation typically do." While the results are promising, Lakshmanaswamy says there's still a long way to go before nimbolide can be used to treat pancreatic cancer in humans. The TTUHSC El Paso team plans to continue researching the anticancer mechanisms behind the plant extract. They'll also study various ways to administer nimbolide to maintain its potency against pancreatic cancer.